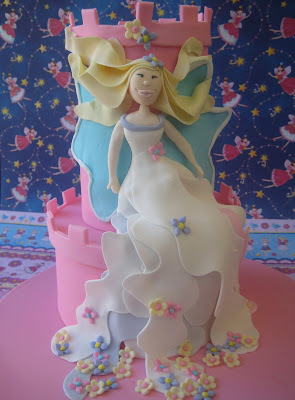 On Sunday the 27th of June I was lucky enough to secure a place at the Brisbane Workshop held by the famous and fabulous UK cake decorator, author and teacher Debbie Brown. Debbie has a stack of wonderful cake decorating books published, and these books have long been a favorite of mine. The books are beautiful and easy to follow and I do have a number of them but I still found it so worthwhile to see Debbie in action. Goodness the ease and perfection when she models arms and hands is a sight to behold. Debbie held 4 workshops here in Brisbane and the session I managed to secure was a 'Funky Fairy' cake. I thought I might be a bit out of my depth, and I was the last to finish covering my cake board (bit too much chatting going on there, obviously one lesson I never learned in school). But with instructions and assistance from Debbie and encouragement from the rest of the class I produced a cake that I am happy to proudly display here. Here is my messy workstation and the dummy cakes partially covered. 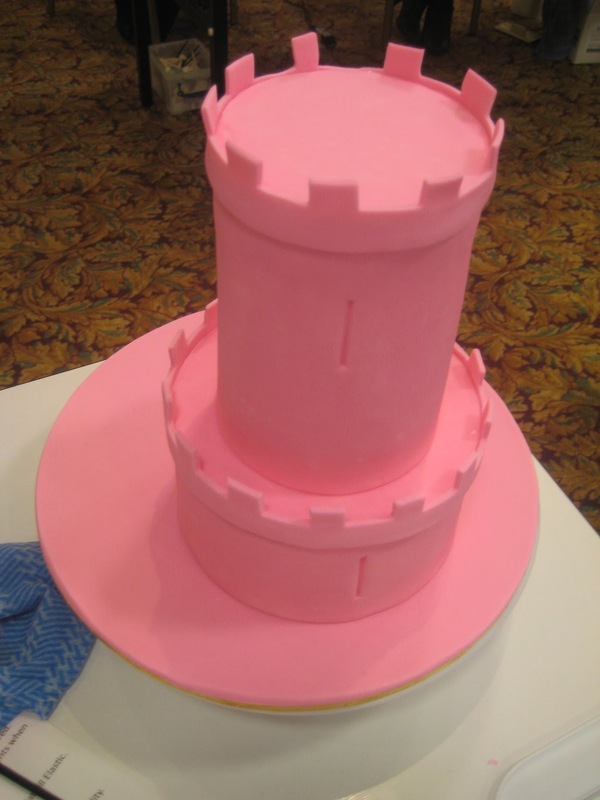 I loved the turrets on the top of the cakes which easily transformed the cylinder shapes into a castle. 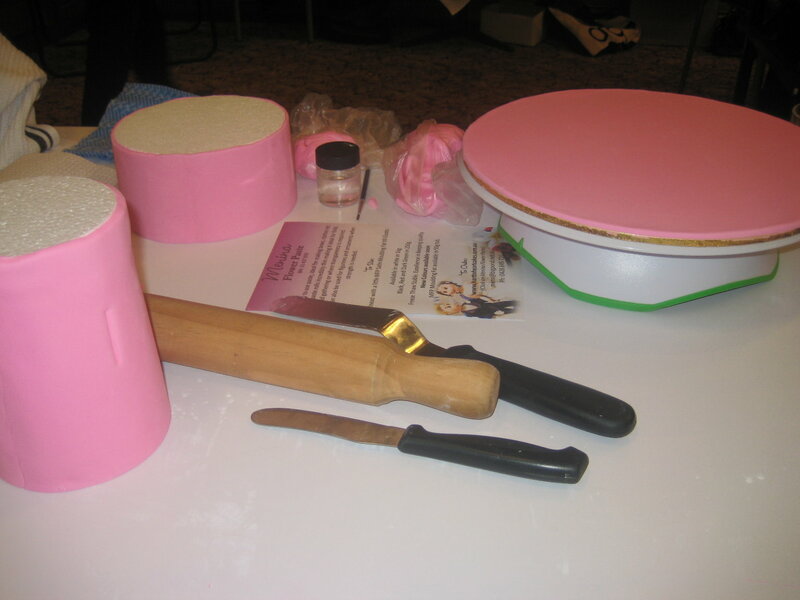 The process of using long ribbon like strips of fondant stabilised with some tylose powder and then using mini cutters (mine was a tiny square) to shape the top was so simple and amazingly effective. 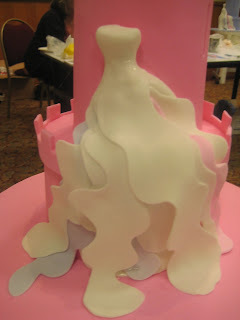 I think that the instructions for this cake are included in Debbie's new book due out shortly. Now I am a self taught decorator, always meaning to get around to some professional courses, but sadly I have never managed before. I thoroughly enjoyed this session, not only did I receive great instruction and pick up some good hints but I also met a bunch of wonderful professional and passionate amateur cake decorators. Debbie has mentioned she might be back next year in Australia somewhere and sometime. I have my fingers crossed that she might be able to make it back to Brisbane again. Oh and one of the other participants in the workshops Jackie Thompson from Contemporary Cakes runs regular cake decorating classes here in Brisbane. There were quite a few people at the session who had attended her classes and they all had glowing reviews and she was amazingly helpful and friendly. Click here to link to her site and class timetable. 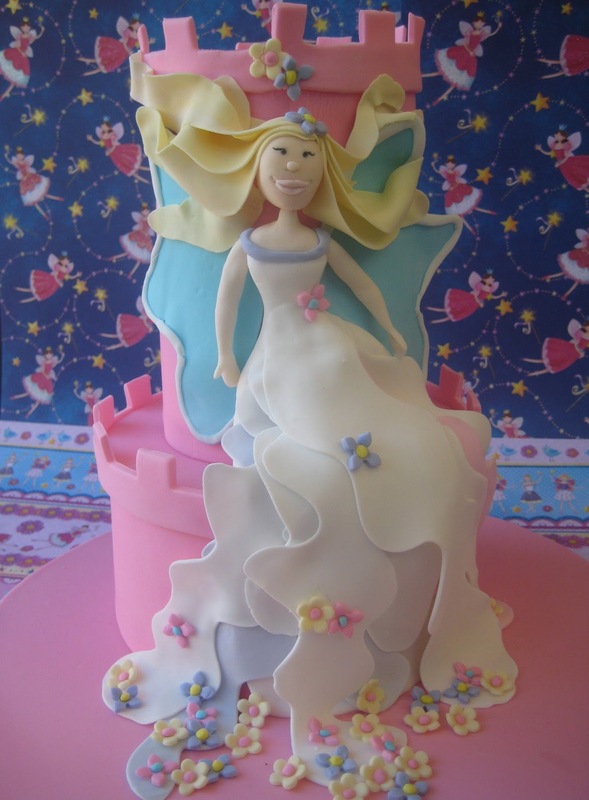 What a great day, thank you Debbie Brown for a wonderful experience and also to Sarah Jane from Cake That for helping me to arrange my booking. 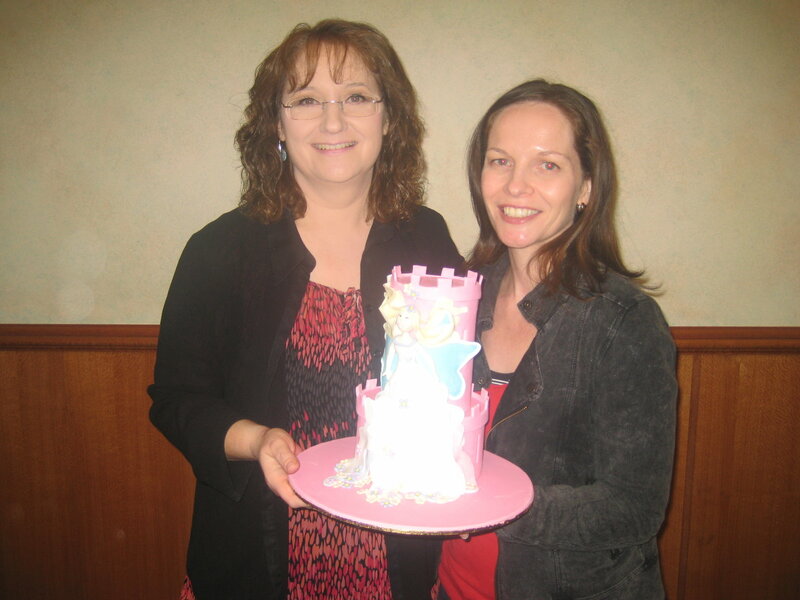 Debbie Brown and I holding my finished cake. I'm going to get back to practicing those arms and hands. Practice makes perfect. I just happened upon your blog. Amazing!!!!! Hi Linda - it was great to meet you on Sunday ! Yes Julie it was lovely to meet you as well. Hopefully I will get around to some more workshops. Will be at the Brisbane Hilton Masterclass in a couple of weeks. Glad that I landed here, beautiful space and yummy recipes. Following you to keep in touch.